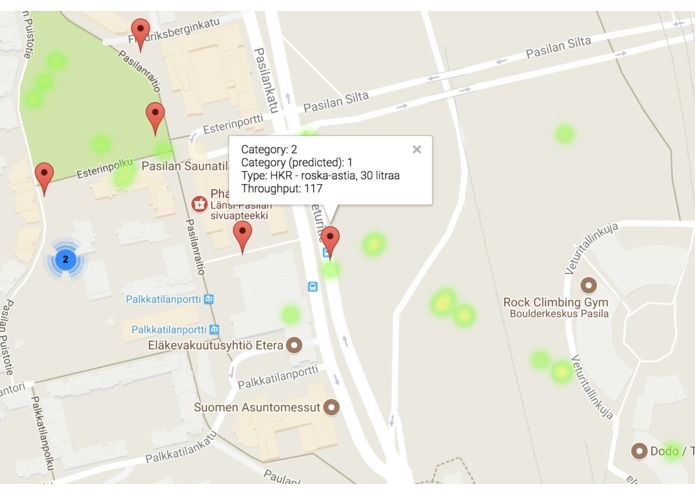 This project started out as an desire to optimise travel routes of trash collectors for STARA BigData track. But as we dug dipper into the data, we discovered an underlying problem with trash bin classification and developed a general approach that estimates a demand based on the population density around a bin. The developed technology can also be applied to optimize public transportation and predict movement patterns within a city. It takes elisa people flow dataset and converts it to tracks representation. The tracks are then used to estimate population density around a given point. 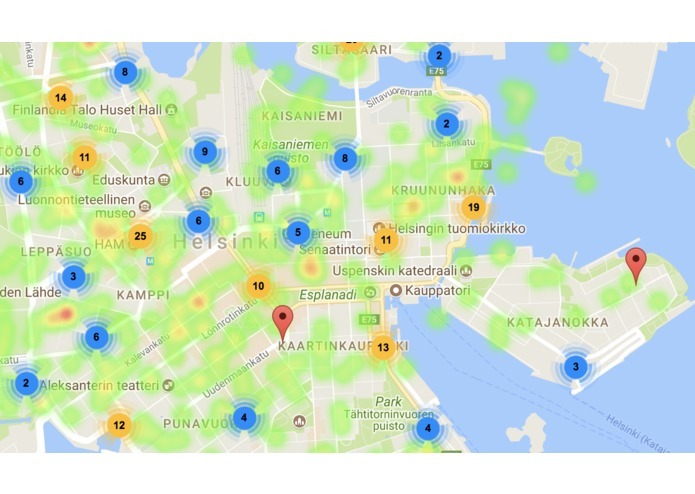 This information can be used to dynamically predict demand on various city resources (such as trash, public transport etc.). We extensively collaborated with STARA to understand their needs. The development process was iterative - we started with a very blurry idea and absence of clear vision, but as we progressed through the data, various available APIs and customer needs, the final shape of the project started to appear and developed into a conceptual vision. So far we managed to implement the basic functionality, but we are far from completion. The next step would be to use flow data to predict movement patterns. Having done so, we will be able to introduce predictive element into our estimation (for example, in the trash class estimation, we would not only account for current density, but could also understand how the demand will change based on movement patterns). After that, we could develop a prioritisation model to assign more resources to areas with higher demand and dynamically allocate more resources to these areas. 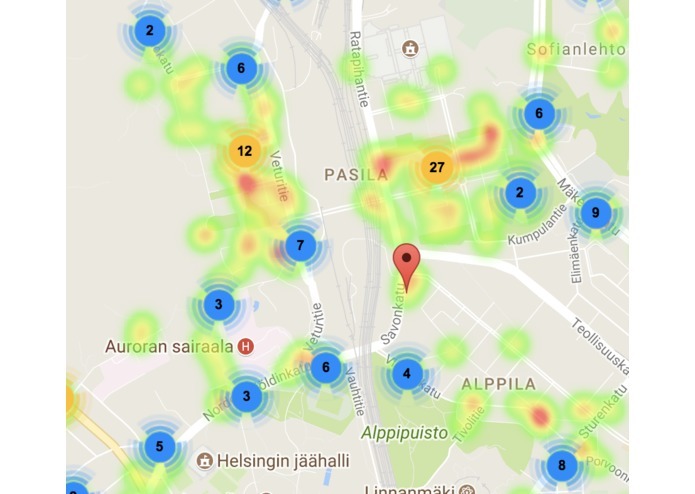 Helsinki also uses a network of smart trash bins that can estimate their filling level. We will gather historical data on filling rates for the smart bins and see if there are correlations between population density and how fast the bin fills. Having developed the regressive model for smart trash bin filling rates, we will extrapolate these models and 'dump' (ordinary) bins, reducing the demand for smart bins and cutting costs.